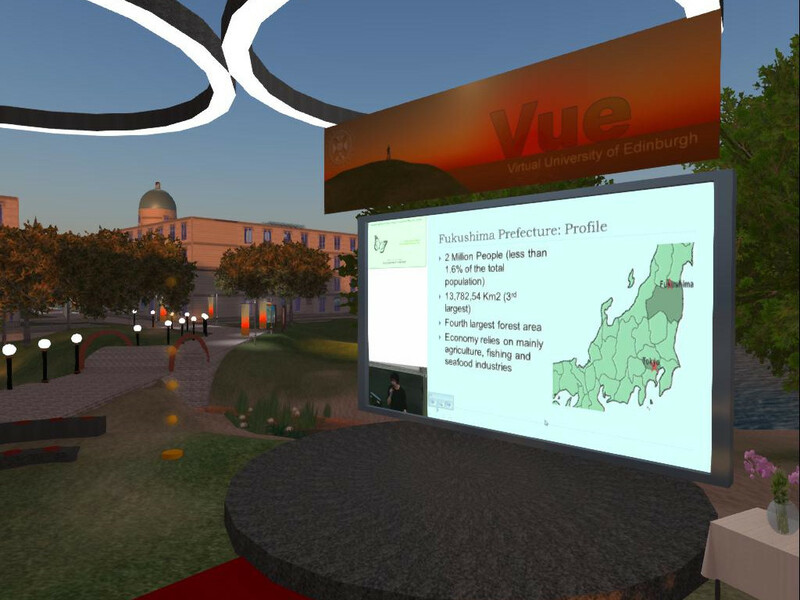 Live event in Appleton Tower, live video stream and relay into Second Life at The Venue@Vue. See http://www.after-tsunami.org/ and http://openvce.net/after-tsunami. The Second Life event relay was for tests of future event capability with just three avatars being present during the evening. This entry was posted in OpenVCE, Second Life and tagged Fukushima, OpenVCE, Second Life. Bookmark the permalink.